Unfortunately for home sellers, there is a large segment of real estate agents who want your listing for ulterior motives. They are prepared to "buy your listing," knowing they won't get it sold, only doing so in order to enhance their own presence in the market. "They know that there’s only a minuscule chance the house will sell at the inflated price you’re proposing, but they take the listing anyway. They fully expect that after a few weeks with no takers, you’ll sober up and agree to what may have to be a series of price reductions. Buying the listing works for some agents because they get cut into a commission payout that they would have missed had they lost the listing to competitors who counseled lower prices. And they reap immediate benefits: They’ve got their name plastered on a sign in front of your house, and they can hold open houses that could bring them new clients and other houses to sell." The term "buy the listing" simply means the agent realized you were going to hire the agent that told you your home was worth the most, so they merely "outbid" all the other agents that you interviewed. This is why you should not discuss the value of your home in a listing agent interview until AFTER you have decided to hire the agent and the company to market your home. If you let them make it about the value of your home, YOU LOSE. The agents that are willing to "buy your listing" will merely put it in the MLS and hope that somebody brings an offer (nobody does if your home is over-priced). In the meantime, their name and company name is being exposed, which they think is good (an unsalable listing to many is better than no listing at all). So if you have been targeted by an unscrupulous agent who is willing to put your home on the market with almost no chance of it selling, what do you do? We explain to the homeowners that hire us to market their home that we plan to have it sold in 4 to 14 days in order to get them top dollar for your home. If you want to know more about why this is the optimal market time to get the highest amount possible, you can read this article as it covers it in great detail. We also explain to those homeowners that hire us that if the home is not sold within 14 days, we need to talk. 1. Make your real estate agent demonstrate that she has done everything that she said she was going to do to bring multiple buyers to your home. If you required her to present a detailed plan before deciding to hire her for the job, then she merely needs to show you that she did the job. We tell our sellers to "make us prove to you that we have done our job." 2. If your real estate company has done the job, check the market. Did a bunch of homes similar to yours just hit the market? Did homes like yours stop selling? Odd things happen, sometimes a local or world event occurs and sales stop. But rarely for 14 days. If your home is a good buy in the market, WHY DIDN'T SOMEBODY BUY YOUR HOME? The simple answer is that "at the price you are asking, your home is not as good of a deal as others that are out there." You need to lower your price. Of course, using the two-step process above, what do you do when you think your agent has not done the "job that you bought" during the listing presentation? That also is a two-step process. 1. When you have concerns that your real estate company is not doing everything it takes to sell the home, tell your agent to arrange a meeting with you and her broker within the next two days, the sooner the better. During that meeting, find out what the problem is. See if the company supports the agent in selling the home or if the agent is an independent contractor who must handle it all herself. 2. Handle the problem. If you think the company is aggressively doing its job, then you need to reposition your home in the market at its correct price. If the company has not done its job, then you should either give them a second chance or fire them. The former rarely works, as you are asking the company to change the way it does its business. The latter makes you start the process all over, but better now than several months from now, right? Do not choose to "do nothing," as it is reducing the chance for you to get the full market value from your home when it finally does sell. The market is on fire, and there are more buyers active today than we have seen at any time in the past 8 years. So it's easy to sell a home, right? Well, did you know that one-half of all new listings fail to sell during their initial listing period? True. Why? They were either listed by a company that does a poor job exposing the home in the RIGHT places, or the home was over-priced when it hit the market. Buyers aren't stupid and they won't like your home if it is being compared with nicer homes. 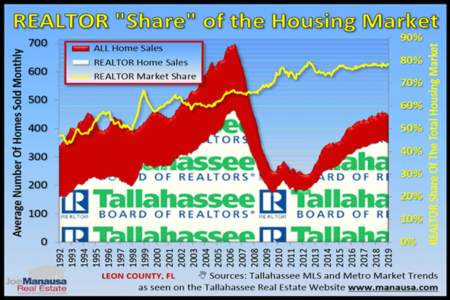 I have done an in-depth analysis of all homes sold in the past twelve months in the Tallahassee MLS, and have created a chart showing real market time. I have weeded out all of the agent tricks to make market time seem shorter (like cancelling listings and starting up new ones so that a home's listing period "starts over" every so often). The one caveat is that the market time shown in the graph below is only for homes that successfully sold with their current agent. That means many of these homes were listed for sale with somebody else in the past (and that time is not part of the "time it takes to sell a house"). In other words, the following is the market time for homes that finally sold. All the failures have been eliminated. A "math person" would tell you to expect longer than the results below indicate. In the graph above, each thirty-day period of market time is designated along the horizontal axis. The blue bars show how many homes sold over the past twelve months in each market time-span (for example, a little more than 600 homes sold that were on the market from 30 to 59 days). Remember, a good number of homes in the above results have market time that was recorded with a prior real estate agent and/or during time spent as a "For Sale By Owner." I think it is safe to say that the majority of people who sold their home over the last year left money on the table, as they let their home sit on the market long enough that buyers felt no "fear of loss" when they saw the home. They either did not market the home aggressively enough, or that were over-priced. In reality, they were definitely over-priced for the level of marketing they chose. If you have made it this far in this article, then you know more than most home sellers before they make the decision of who to hire to market their homes. 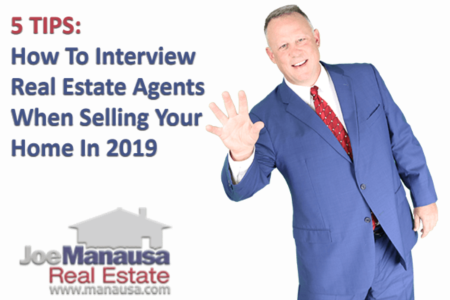 In fact, last year's NAR study of recent home sellers showed that 72% of sellers hired the first agent they spoke with, and they hired them because "the price was right." 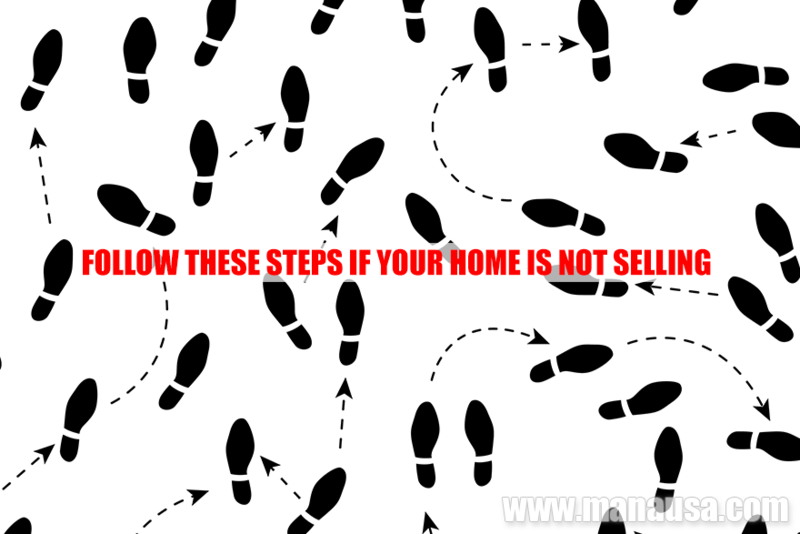 Don't let an unscrupulous agent "buy your listing." Go to real estate companies and interview them and require them to show you how they will expose your home to so many buyers that buyers will bid up the value of your home. Don't fall for the ask high and keep lowering your price technique, it will cause you to lose money.